Celebrating special occasions with a loved one can be made more memorable by taking out-of-town trips. Birthdays or anniversaries are the perfect excuse to splurge and indulge in little luxuries of travel. 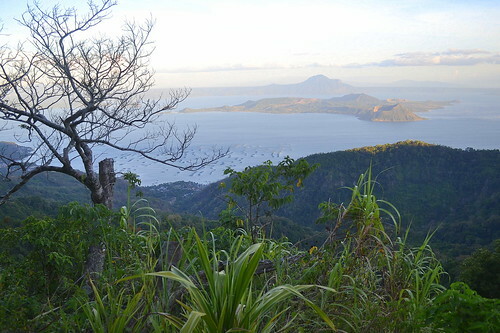 I’ve spent my last four birthdays in interesting destinations of the Philippines. 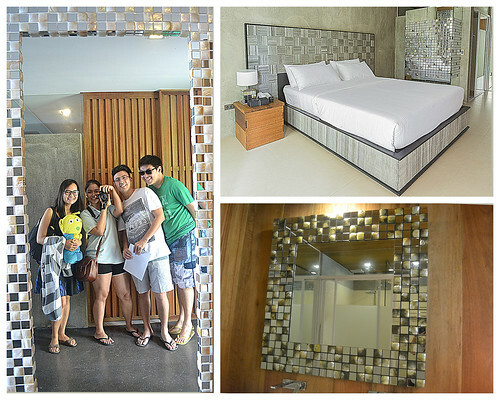 When I heard of the newly opened domicillo TAGAYTAY Boutique Hotel, I knew it was the perfect place to spend our friend's birthday weekend. 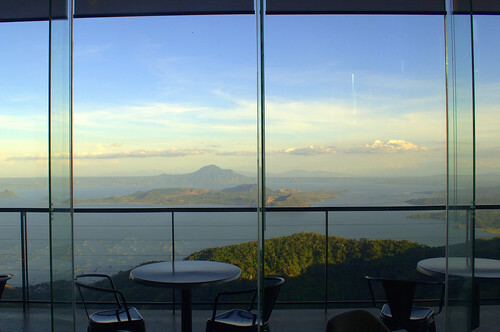 It only a two-hour drive away from Manila and we soon found ourselves in front of the bare concrete and glass building of domicillo TAGAYTAY. 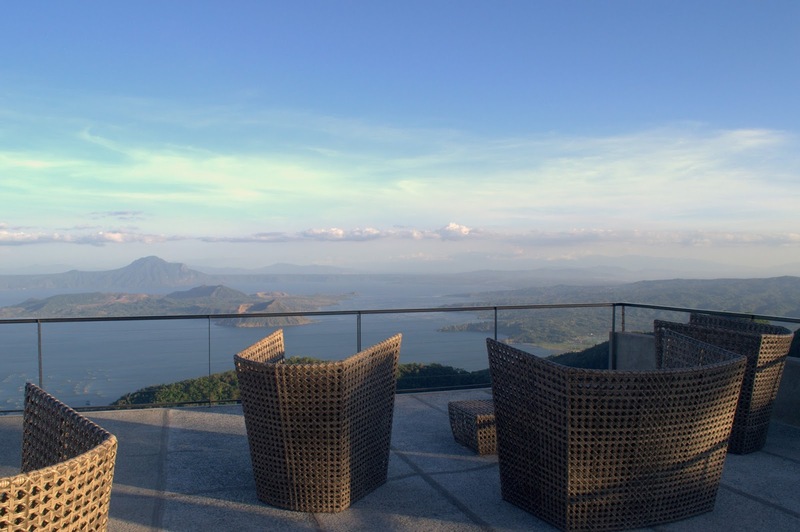 The location is prime, as the hotel is nestled atop the Tagaytay ridge, giving it an unobstructed view of Taal Lake and the Taal Volcano. 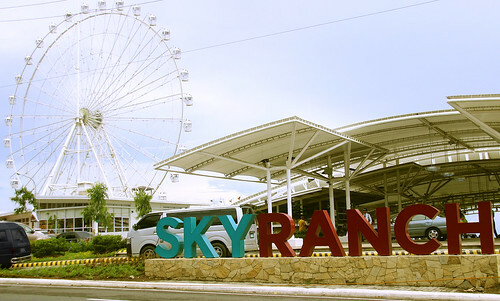 Also within the hotel’s view is the huge Ferris Wheel of the famous attraction Sky Ranch Tagaytay, which is just about half a kilometer away. Going on rides in the amusement park is a great side-trip when staying at the hotel, but we decided to chill in the hotel throughout our stay. 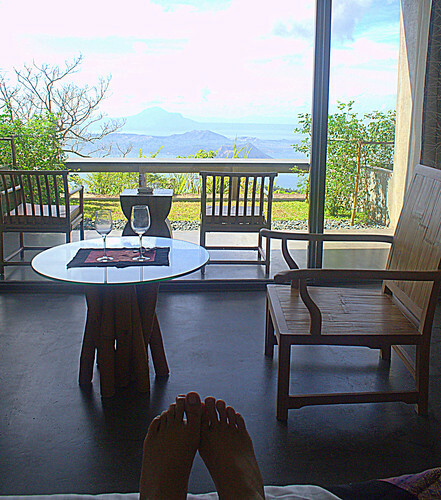 We’ve all had a long workweek and the relaxing vibe of our room was too inviting for us to wander away. The staff was super friendly and we were greeted by each one we encountered. We were welcomed into a very posh showroom and receiving area. They showcased interesting pieces of jewelry and handbags, which are all up for sale, made by world-class Filipino designers. 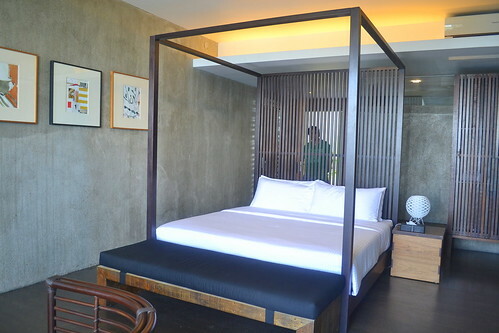 The domicillo TAGAYTAY Boutique Hotel is an 8-room lodging that was conceptualized from a furniture shop by Rene Alcala. 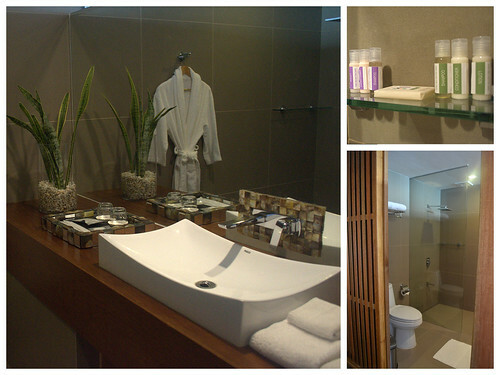 We availed of two Premier Rooms but we were able to take a peek in their other rooms. 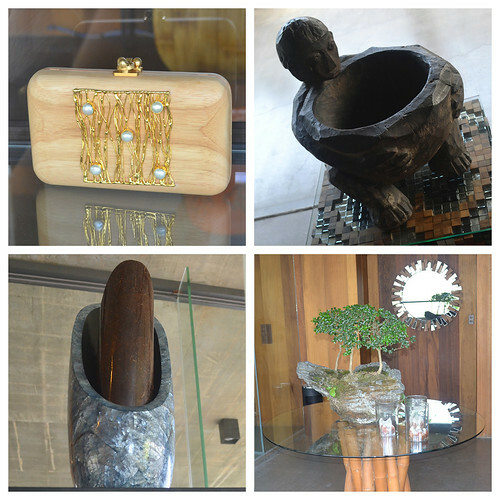 Every piece of furniture they displayed serves as a model and can be purchased for your own office or home. 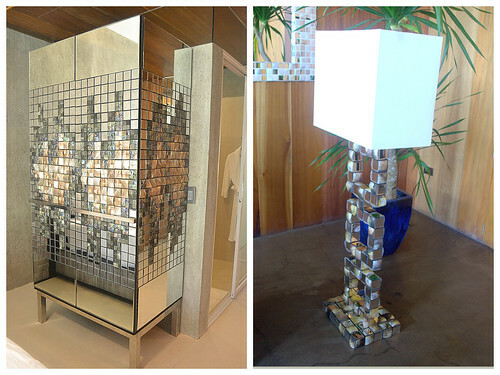 I was really digging their mirror-tiled cabinets, but as an ocean-lover, I do hope their shell-encrusted mirrors and lamps are sustainably-sourced. 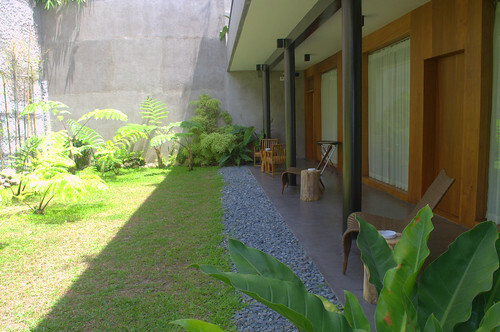 They offer 3 deluxe rooms (one with 2 single sized bed) with a garden view on the lower level of the main floor. These rooms were designed by Tess Pasola. 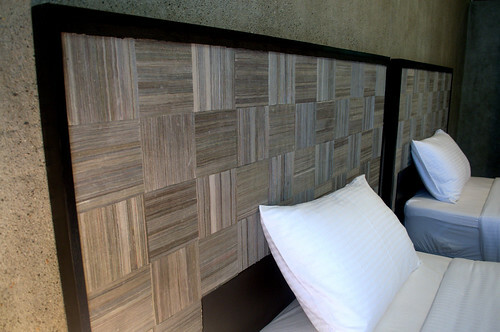 All of us were crazy about this headboard made from upcycled newspapers. It’s very eco-friendly and chic that we all made a pact to get that headboard for our own homes one day. On the same floor, we have the lounge area which can be converted into a function room for events. 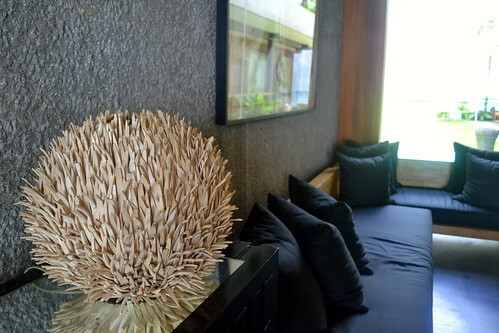 Adjacent to the lounge are the 2 Deluxe Rooms designed by Milo Naval. 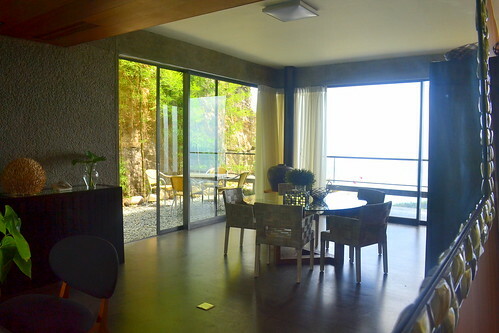 These rooms have a balcony and lakeside view. 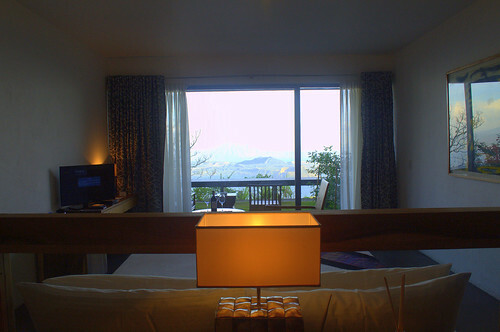 On to our Premier Rooms, my first impression was of pure tranquility. I’m not sure if it was the room or just my typical metropolitan stress, but felt like sleeping in our suite the whole day. 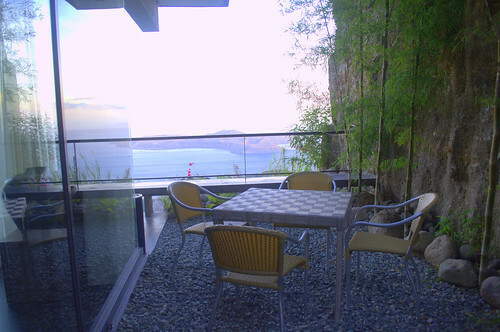 Our room, which was designed by Budji Layug, was very spacious and the glass wall gave us the perfect view of Taal Lake even from the bed. The room is very well-lit and the bed was very cozy. There are wi-fi routers in each room, which made internet connectivity very fast. There is a hidden fridge in a clever cabinet with complimentary sodas and juices. They also gave us a complimentary bottle of wine from Chile. We had a mini-garden in our balcony, which was a great place to relax and meditate to the resonating energy radiating from the crater lake. In terms of privacy, the divider of the balconies of the Premier Rooms are pretty low and one can easily peek through the neighboring rooms. This worked in our favor because we had two rooms with friends. The bathroom was really clean and it smelled great. They provided organic hygiene products which, as an environmentalist, I really appreciated. My only trouble was the design of the bathroom doors provided little privacy since you could peek in. I’ve noticed this trend with some other hotel bathrooms with open design concepts and my Filipino modesty isn’t really ready for it. 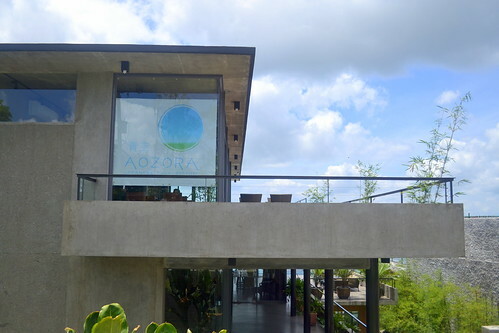 We were very fortunate to be one of the first customers of the Aozura Restaurant, which opened on the day we checked in. 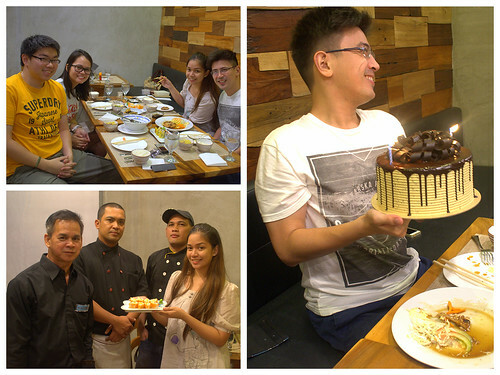 After our complimentary 1-hour combination massage, we were all famished and excited to try the unique dishes of the Japanese Restaurant. 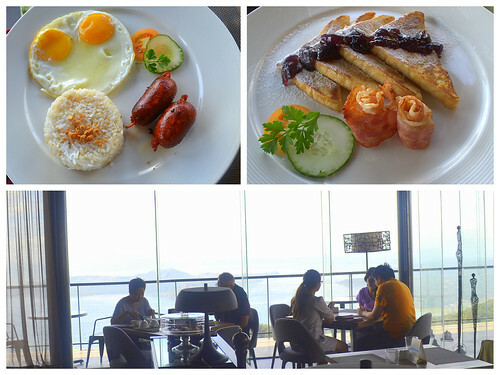 Climbing to the top floor of the hotel building to get to the Azoura Restaurant surely jump-started our appetites. On the same floor is the raised view deck that can accommodate up to 80 people for events. It’s the perfect spot to stargaze at night. 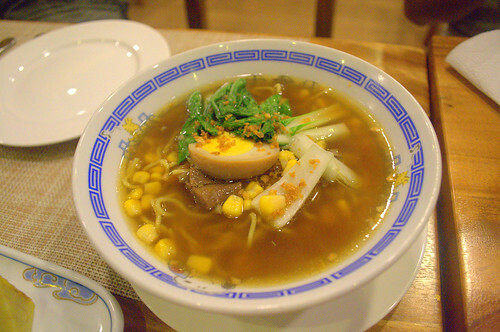 We had the Aozura Ramen, which is a fusion of Japanese flavors and the Tagaytay-favorite Filipino soup, Bulalo. It’s an innovative dish by their chef, Seiji Kamura. 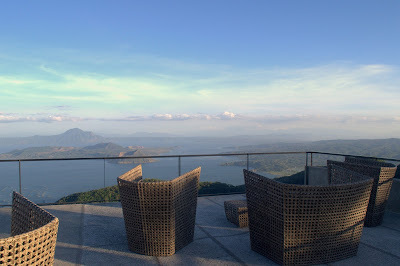 It's the perfect compliment to the cool weather of Tagaytay. The California Maki was made into these cute tear-drop shapes, which I loved snacking on. 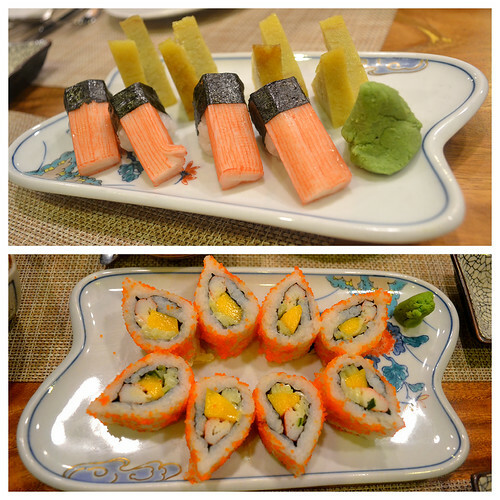 We were also served the Kani Sushi with Tamago. Their Teriyaki Chicken was just the right sweetness I was craving for. Perhaps my surprising favorite dish we had was the Nasu Miso, which is a miso-glazed eggplant. 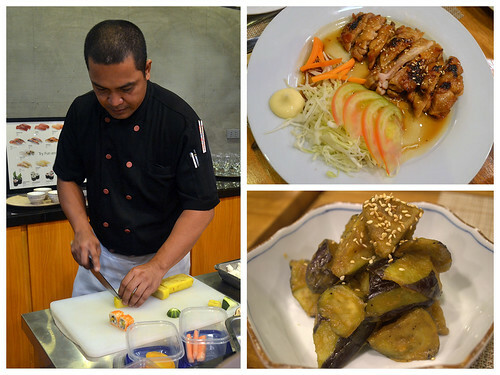 The business talents behind the Aozura Restaurant are the same talents behind the Galli Village Cafe in Metro Manila. The owners were accomodating and nice enough to let us eat the birthday cake we brought and they even provided us with dessert plates. We were pretty happy and full. 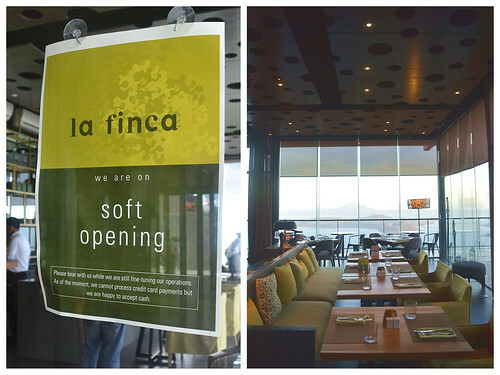 We chose to have our breakfast at the hotel’s other restaurant, La Finca, which also just opened. 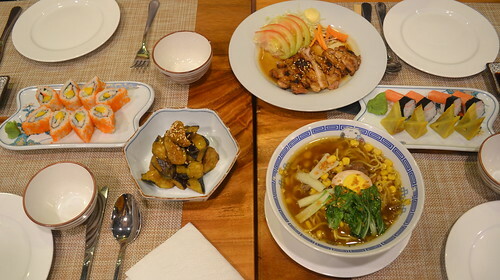 They use their own produce from the La Finca Farm in Batangas, which is a sustainable concept I loved about this dinery. 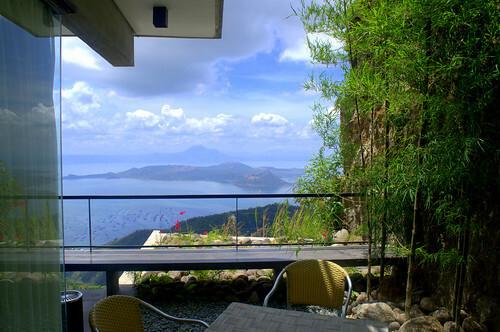 As with our rooms, the restaurant offered us a great view of the lake. 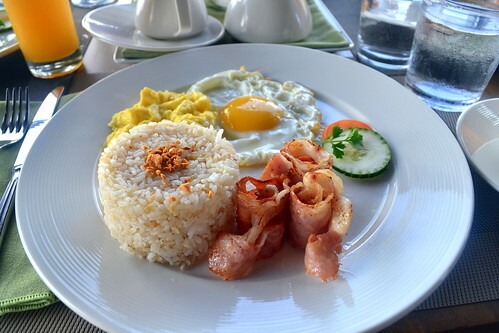 Breakfast is my favorite meal of the day so I ordered their Filipino Breakfast, with spiraled bacon and eggs. It was very filling and their service was excellent. 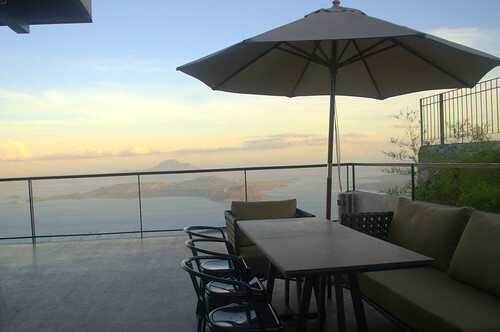 They have a coffee shop vibe and it’s nice to chill at their veranda if you want to get away from the crowded Tagaytay spots. 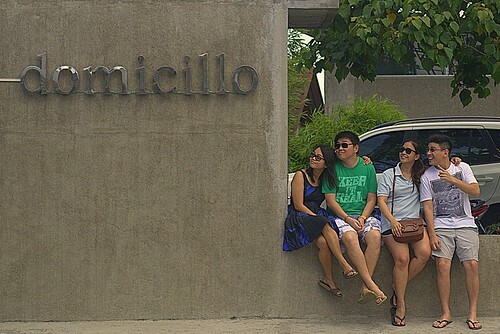 We experienced a laid back and relaxed weekend barkada getaway at domicillo TAGAYTAY. We spent a lot of time in the lounge sipping wine and playing cards. There is a hint of party music in the background due to some nearby bars, but thankfully, the noise is minimized in the rooms. When we got a bit chilly at our alfresco hang-out spot, we moved to the cozy promenade garden outside our rooms. We felt at home and we hope the acoustics of the building buffered our laughter from disturbing other relaxing guests. The bed was super comfy and I had a restful sleep. 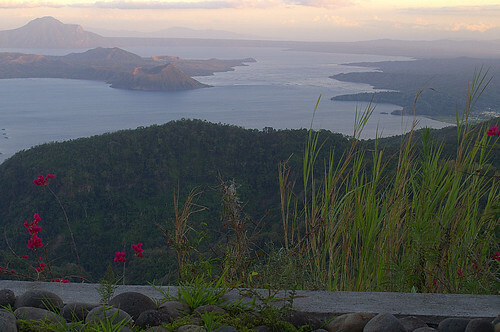 Waking up to the romantic scenery that is unique to Tagaytay, I had one of the best mornings I’ve ever had. That’s a pretty high standard since I’m a night owl who abhors mornings! 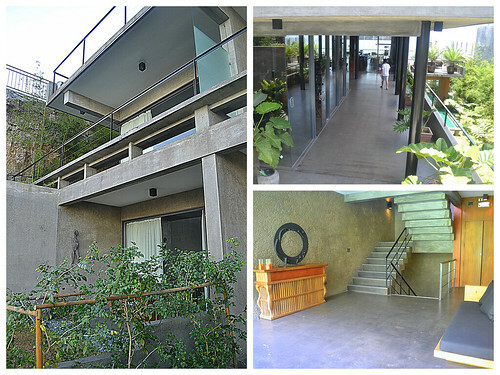 The modern design and the way concrete blends with nature has given me ideas of how I want my dream home to be. I felt very positive about staying at domicillo TAGAYTAY because I know I am supporting Filipino artists under a brand that we can be really proud of. Audrey is Filipina millenial who has an appetite for adventure and excitement. She is a radio broadcaster, sports analyst, environmental advocate and entrepreneur-wannabe all rolled into one spicy burrito. Hungry for self-improvement? She shares her musings on Audreynaline Rush. Interested in going on a trip for Sole Sisters? If you are travel-crazy just like us, please email us at solesisters(dot)weare(at)gmail(dot)com with the subject line: Sole Sisters On Assignment. 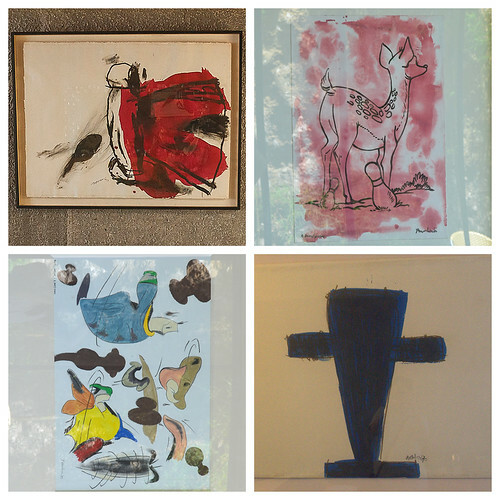 We prefer that you have a blog or online writing samples as well as photos that we can review. 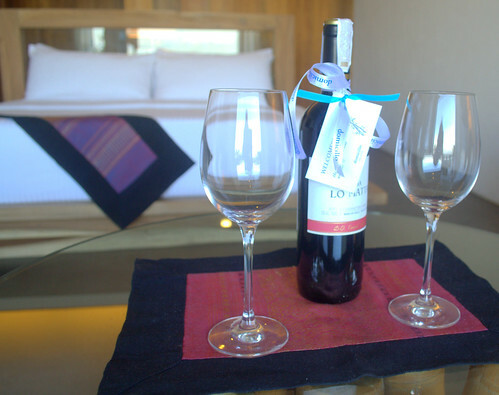 Editor's Note: Our appreciation goes out to the DOMICILLO team for inviting us and providing the complimentary stay. As always, all opinion are the author's. If you’d like to make arrangements, you can easily book through their Facebook page or call (046) 413 3552 or 0922 884 1532.